Novice testers have many questions about software testing and the actual work that they are going to perform. As novice testers, you should be aware of certain facts in the software testing profession. The tips below will certainly help to advance you in your software-testing career. These ‘testing truths’ are applicable to and helpful for experienced testing professionals as well. Apply each and every testing truth mentioned below in your career and you will never regret what you do. Don’t start testing without understanding the requirements. If you test without knowledge of the requirements, you will not be able to determine if a program is functioning as designed and you will not be able to tell if required functionality is missing. Clear knowledge of requirements, before starting testing, is a must for any tester. As I have said many times, you should acquire a thorough knowledge of the domain on which you are working. Knowing the domain will help you suggest good bug solutions. Your test manager will appreciate your suggestions, if you have valid points to make. Don’t stop by only logging the bug. Provide solutions as well. Good domain knowledge will also help you to design better test cases with maximum test coverage. For more guidance on acquiring domain knowledge, read this post. Don’t start testing with the assumption that there will be no errors. As a tester, you should always be looking for errors. No doubt, old testing techniques still play a vital role in day-to-day testing, but try to introduce new testing procedures that work for you. Don’t rely on book knowledge. Be practical. Your new testing ideas may work amazingly for you. No matter how much testing you perform, you can’t guarantee a 100% bug free application. There are some constraints that may force your team to advance a product to the next level, knowing some common or low priority issues remain. Try to explore as many bugs as you can, but prioritize your efforts on basic and crucial functions. Put your best efforts doing good work. This is my top piece of advice. Don’t think only like a technical guy. Think like customers or end users. Also, always think beyond your end users. Test your application as an end user. Think how an end user will be using your application. Technical plus end user thinking will assure that your application is user friendly and will pass acceptance tests easily. This was the first advice to me from my test manager when I was a novice tester. Don’t obsess about 100% test coverage. There are millions of inputs and test combinations that are simply impossible to cover. Use techniques like boundary value analysis and equivalence partitioning testing to limit your test cases to manageable sizes. As a novice, you will make mistakes. If you don’t make mistakes, you are not testing hard enough! You will learn things as you get experience. Use these mistakes as your learning experience. Try not to repeat the same mistakes. It hurts when the client files any bug in an application tested by you. It is definitely an embracing situation for you and cannot be avoided. However, don’t beat yourself up. Find the root cause of the failure. Try to find out why you didn’t find that bug, and avoid the same mistake in the future. If required, change some testing procedures you are following. Some testers have assumptions that all bugs logged by them should get fixed. It is a good point to a certain level but you must be flexible according to the situation. All bugs may or may not be fixed. Management can defer bugs to fix later as some bugs have low priority, low severity or no time to fix. Over time you will also learn which bugs can be deferred until the next release. Read article on ‘How to get all your bugs resolved‘. 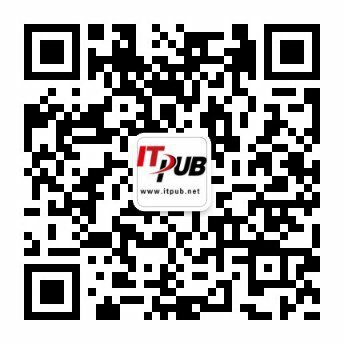 下一篇： How to get job in Software Testing quickly?